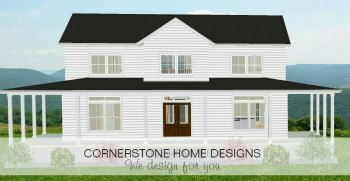 We are Cornerstone Home Designs. Designing House Plans for 12 years. Builder for over 40 years. together we make your dream home come true. We are known for the Simplicity of our house plans. We create homes with a simple layout. With no extra cost for the modification. dream home. Just share with us what you want. Thank you for your interested in Cornerstone Home Designs. Got a question on how to get started, just ask us. Our house plans will meet all building codes. You will receive a complete PDF house plan, make as many copies as you need once it is finished. We will make changes to any plan that you have selected at NO additional cost to you. 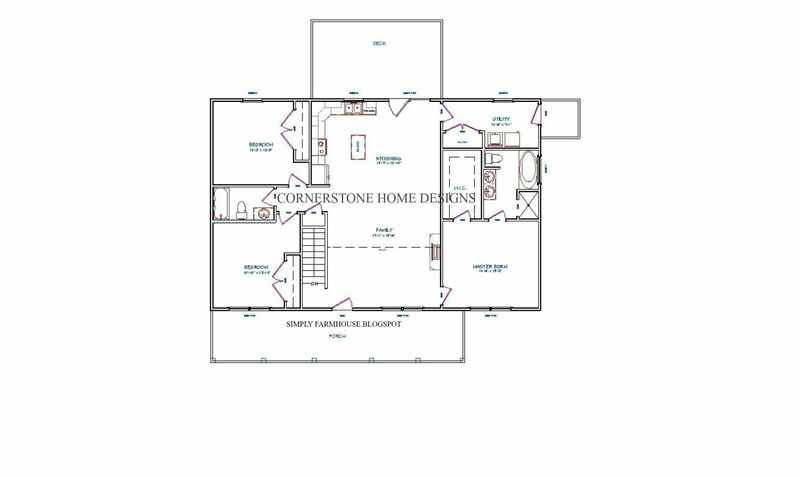 If you do not see a plan you like,we can custom draw your house plan for you. Just share your ideas with us. We work back and forth through emails. $395.00 for this house plan. The original plan has a Total living space is 1500 square foot. 3 bedroom and 2 full baths. on a crawl space foundation. 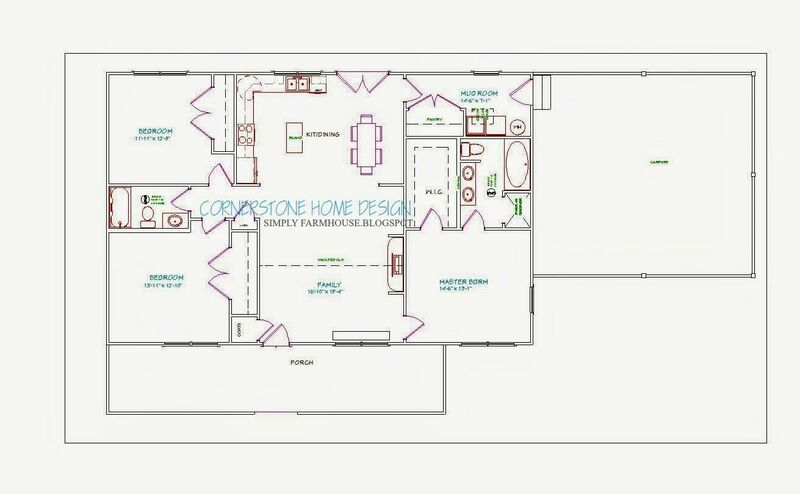 This house plan can be adjusted to meet your needs..Just let us know what your dreams are. If they email doesn't work please copy and paste it. 1. 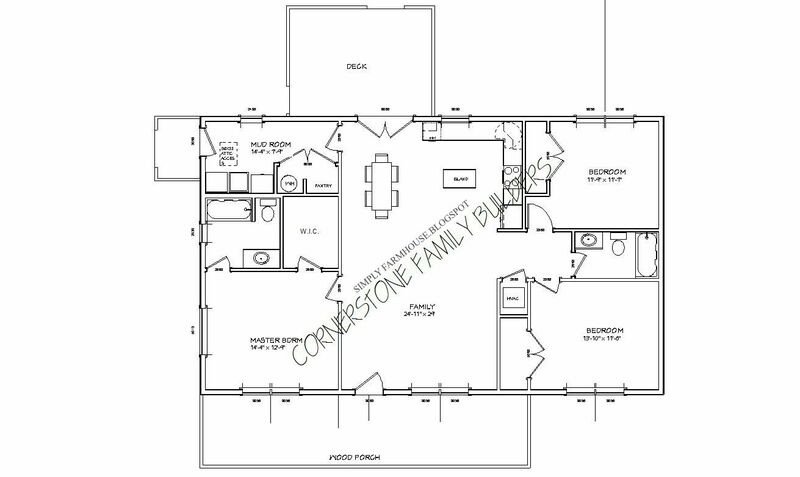 The cost for this house plan is $395.00 up to 2000 sq feet , with unfinished basement, crawl space, or slab. 3. Once the deposit is made, we will make any changes for you. 4. When your are satisfied with all the changes on your house plan. * You will need to pay the remaining amount in full. 6. After you have paid the amount in full, we will then release the printable PDF version to you. 7. It is all yours to send to your local printing business and print FULL size blueprints, as many as you want. *** If you need to make any changes after the final deposit and before you print it, we would be happy to make those changes without any cost. The only time there will be an Additional Cost is for the following. 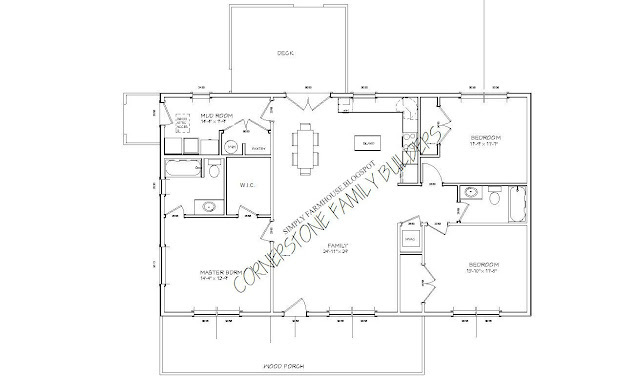 - $100.00 extra if the house plan is above 2,000 square feet. - $50.00 extra if you want the basement finished. - $200.00 If for any reason you totally change your mind during the drawing process and you want us to start over from the beginning to draw all over again another way. Look forward to working with you. Congrats on your NEW home. 2nd second version...with a carport/garage. Leave us an REVIEW on completion and send photos. We would love to see your new home!!! God Bless ~ Thank you! The 4th version floor plan with basement for the above white farmhouse. It is 34x54. Prices can change without notice/ please do not use our plans with out our permission they are copyrighted. Hello Jessica Welcome to Simply Farmhouse. I am so glad you found my blog. Yes, we will get with you soon on the house plan. Thank you for coming by. Teresa, I just want to thank you for being such a blessing to work with!! Your kindness and expertise go a long way in this process. I am so thankful we found you and your blog!! 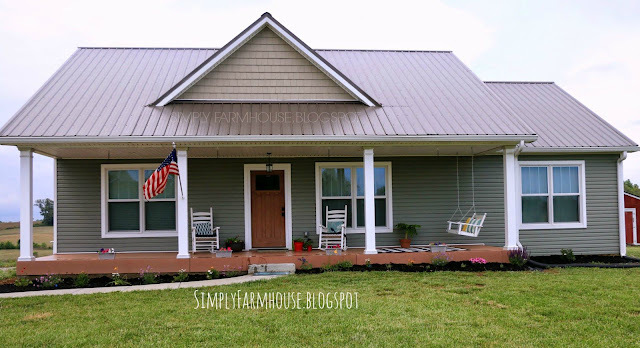 I can't wait go share pics of our very own Simply Farmhouse! I have tried to e-mail a few times, but I keep getting an error message! 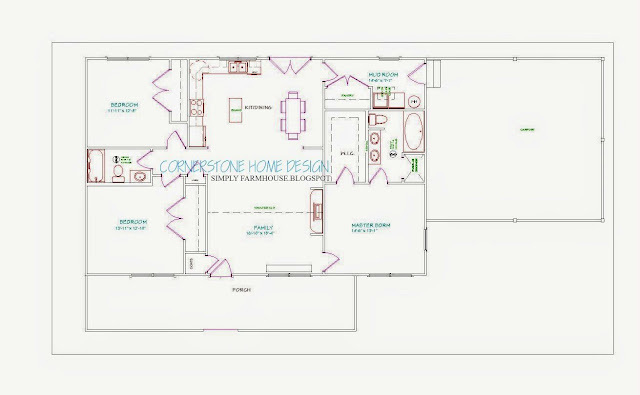 My husband and I are interested in your house plans and I would love to get the process started! Let me know if there is another way to contact you! Comment Sent to Us From Ashley Melton. Not sure if my last post went through- having trouble contacting you through the email address www.simplyfarmhouse@gmail.com. Is there another email? Hello Allison ~ Looking forward to working with you! Hi! I tried emailing you, but I got an error message. I am interested in your farmhouse plans! Hello Julia ~ pls try emailing us again...look forward working with you. copy and paste our email address. We are having trouble with the link. 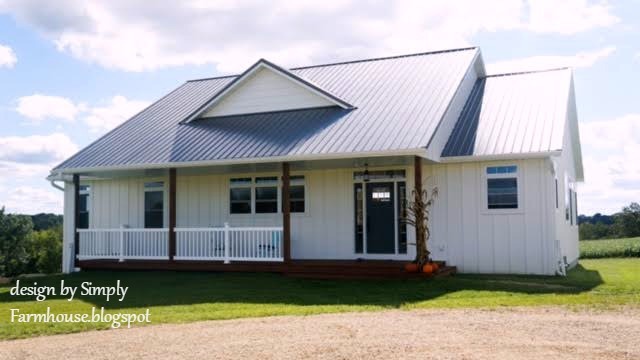 Hi, we are looking to build a metal building on the farm my husband grew up on in west Texas and finishing it out the inside. Kinda like what they call out here a 'barndaminium'. The old house there is past saving. We will likely have 4 and 12 pitch roof with a single ridgeline left to right across he house. We would come off the eaves with a lower pitch roof to make a shed style porch all the way across the front and back of the house. Hope that makes sense. We are looking at a house size between 1600 and 1700 sq. ft. We like the stock design you have on your simplyfarmhouse.com website. We found you on Pinterest. 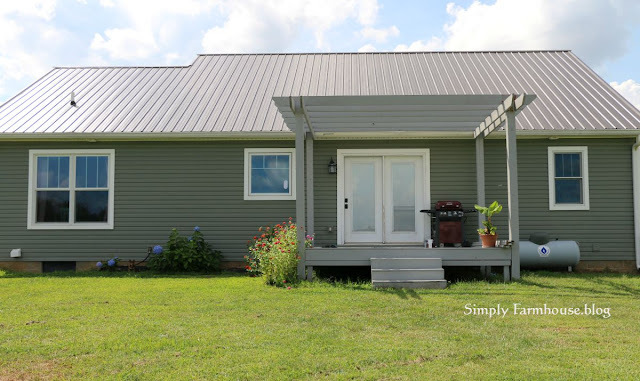 I am perfectly happy to make the deposit, but I wanted to ask if your farmhouse design could work for what we are thinking about and to see if you have experience with your designs being used for a metal building? Is something you would want to consider doing? I really appreciate your consideration. I look forward to hearing from you. 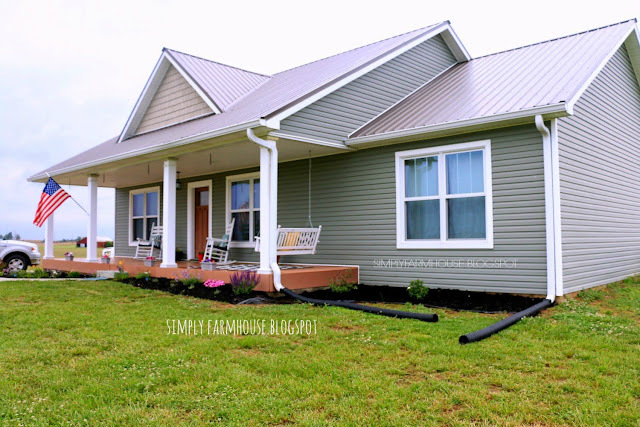 Thank you so much of your interest in the simply farmhouse plan. Yes ma'am we believe we can do what you are asking. We look forward working with you. 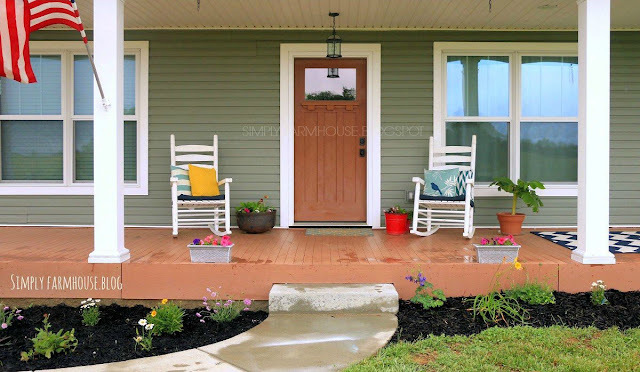 Contact us through my email www.simplyfarmhouse@gmail.com. Very attractive farm house designs. These designs should be implement to build a attractive farm House Design. Carla Craft ~ Hello Welcome to Simply Farmhouse....I read your comment but for some reason it did not publish it. 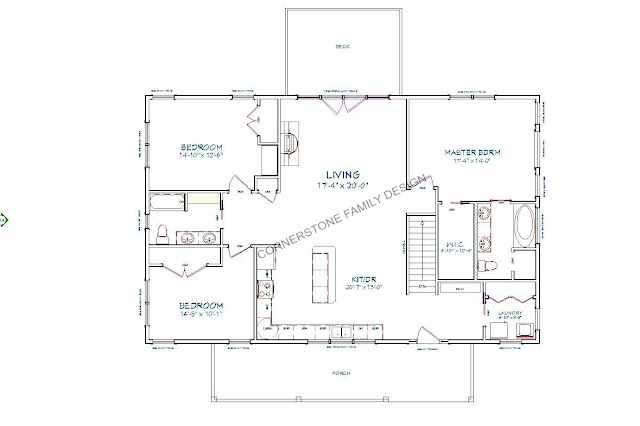 Thank you for inquiring about the house plan. Please keep trying to email us. Or leave another comment with your email address on here I will not publish it. I will delete it. Thank you. 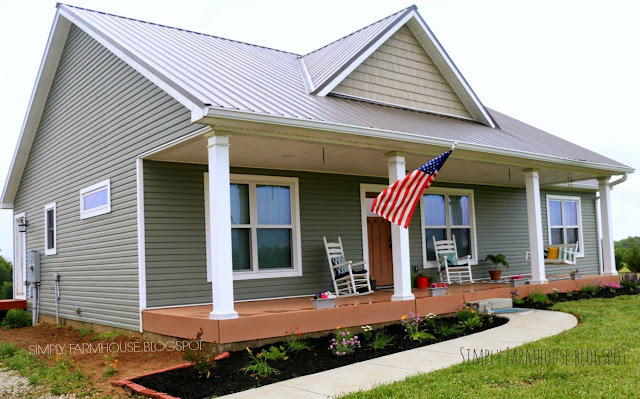 Can you tell me what the color of the siding on your house is called? Really love it!! Hello Stacie, Well thank you...yes it is called "Sage" by Georgia Pacific. Encase you like the metal roof. Burnished Slate its a brown color. Any metal company will carry it. Thank you for your interest pls come again. Thank you so much for replying Teresa!! One more quick question...I searched Georgia Pacific's web site and the only siding I could find with the term "Sage" was one called Sagebrook. Do you think that is the right one? Do you have the same color on the triangle on the roof area? If not what color did you use there? Hi Stacie, Oh yes now we remember it was sage brook it has been 3 years, we new it was sage something.... The triangle is a tan color I don't remember the name. Its a vinyl hand-split shakes design. You are so welcome Stacie...I hope you come again. The simplicity of your plan is exactly what I am looking for! Wondering if your plan is adjustable to make a fourth (could be tiny) bedroom..or shrinking one of the bedrooms to make the other much larger? I have 5 children, 1 boy and 4 girls and my girls can all share a room, they have before no problem, or have 4 small bedrooms. We would also want a garage and unfinished basement. Hi Kate , Did you receive my email? Please let me know. copy and paste my email to contact me. simplyfarmhouse@gmail.com. Thanks again Kate for your interest in the house plan. Hello! We love this house and look forward to purchasing the plans soon, as we are currently working on buying the land right now. I was curious is there were any photos of your home from behind? Thank you! Hello Christine congrats on buying land how exciting. We I do have a rear photo of the house. Ill get it on here soon. Thank you look forward to working with you. Hi Teresa! My husband and I stumbled upon your site this evening while searching for house plans. We sent you an email and are eagerly awaiting your reply :) While reading the comments above, I saw where Kate had commented with interest for a 4 bedroom plan with a garage and basement. Wondering if you had a "sample proof" of this plan that we could see as this is also something we'd be interested in! :) Thanks a million!! It has been good to talk to you through email..looking forward to working with you. Hello! I was wondering if you have any good pics of the great room/ dining/ kitchen in 1 or 2 shots to get a feel for the layout and scale. Thanks! Hi Jess, Sorry for the late responses. I will get a shot soon on the great room looking in to the kitchen soon. We have been super busy lately. Thank you for your interests. Hi Cat, yes we still are selling house plans, great we will contact you soon. 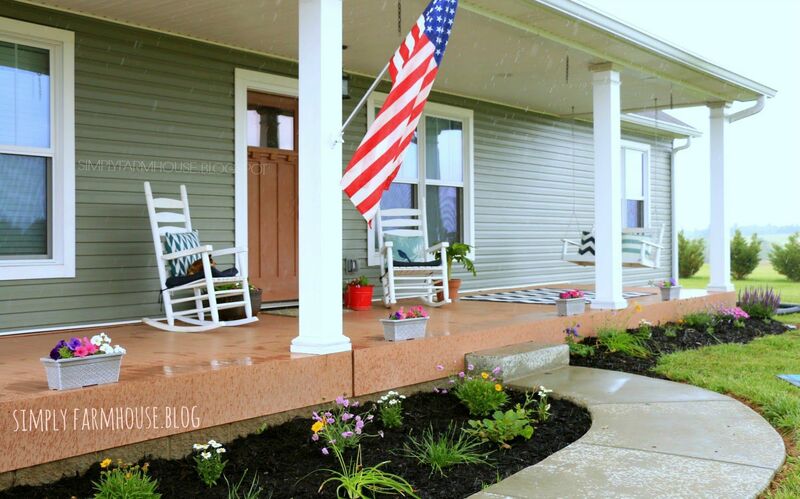 We had the Magnolia plan modified to work for our large family and it was a great experience! They were very responsive and did a great job making changes. 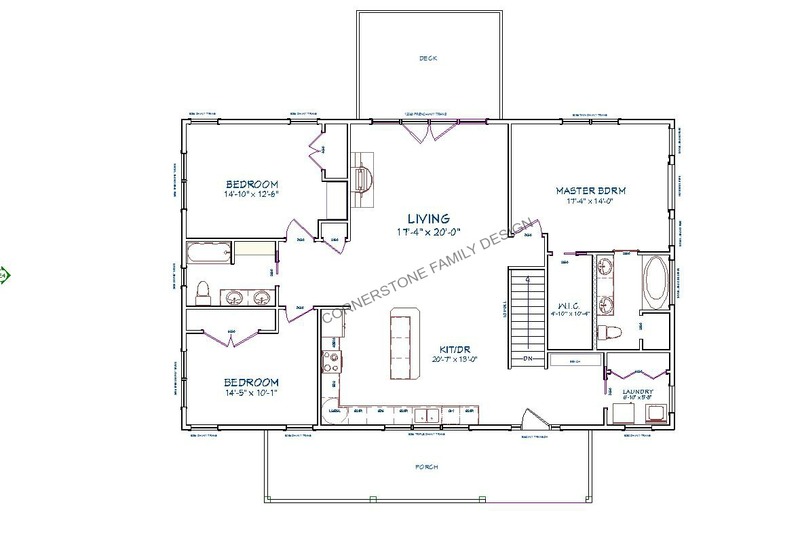 I would definitely recommend this to anyone looking for a great floorplan designed by good peopLe at a really reasonable price! Thank you Steve, it was a pleasure to work with you guys as well. If at all possible, I would really love to see some photos from inside this home! I like the idea of the kitchen being in the front of the house but I can't picture walking in to the dining area upon entry of the home. SO glad I stumbled upon this website!! We are looking to build in the near future but are having a hard time deciding on floor plans. Definitely keeping you guys in mind! Thanks for your interest in our house plans. Please leave your email at simplyfarmhouse@gmail.com and we will be glad to send some to you.